Maintaining high quality data is essential for operational efficiency, meaningful analytics and good long-term customer relationships. But, when dealing with multiple sources of data, data quality becomes complex, so you need to know when you should build a custom data quality tools over canned solutions. To answer this question, it is important to understand the difference between rules-based data quality, where internal subject matter expertise is necessary – and active data quality, where different domain expertise and resources are required. 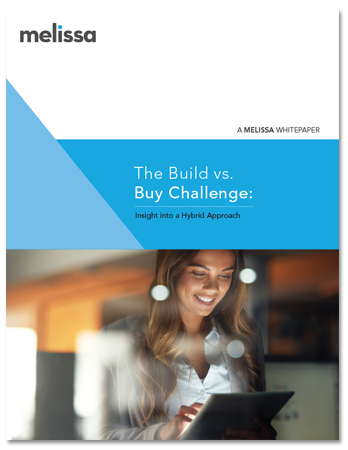 Download Melissa’s free white paper for guidelines and considerations to determine when data quality is best addressed in-house, or with off-the-shelf solutions, or a combination of both.